Way back when in 1995, search engines like Yahoo pop up, and people started noticing they could do certain things to get listed higher and make money. Today it’s called black hat seo. All the things that worked back then have been banned by search engines today. Back in the day to get listed at the top of Yahoo, all you had to do was stuff your keyword as many times as you could on the page, in the title tag and in the meta description. It really was, who ever had the most mentions of a keyword, won the top spot on Yahoo. But, this lead to really bad content being created, and the search engines eventually caught on, and changed the way they ranked websites. What happened was all kinds of people who were either reselling their own products, or reselling as an affiliate jumped on the bandwagon and pretty much took over the search engines. So, the engines had to do something because this lead to really really bad search results. I remember searching Yahoo, Lycos and other search engines back then and they really did produce terrible results. But it was all there was and you either took it or left it. I remember spending time with a girl I was dating at the time at Cleveland State University and there were several computers there that day. Most people were in awe of the newfangled devices. But her and I just sat there shaking our heads and she couldn’t find anything online that day and she was suppose to produce a research paper by the end of the day. Then, quietly around 2000 or so, people started talking about another search engine you could use and it was actually finding the things you wanted. This of-course was Google. I remember reading on forums people were telling everyone about Google and telling everyone to type in whatever they wanted and you would get what you really wanted. It was crazy, you really could find anything you wanted and it was awesome. But then, affiliate marketers jumped on board and the internet wild west was born. Then also came along Google Adwords and much of the results once again were taken up by people selling things. Now, affiliate marketing is not bad at all, I do it and most likely if you are reading this article you do also. The big problem was people are smart and figured out once again how to manipulate the search results. The problem with this is anyone could sell whatever products or services they wanted, even if it was crap. And, you know if you are a good honest affiliate, your main goal is yes profit, but you also want to help others also in the process. This is why Google had to do something. They need real things listed in their search engines and not so just any one could manipulate it and sell junk. If at times, you also wonder why Google seems to be hard on affiliates, there are a couple of reasons. Google actually cares about the information they serve the public and so does the U.S. government. The USA government at times came down hard on Google forcing them to change their ways even further. 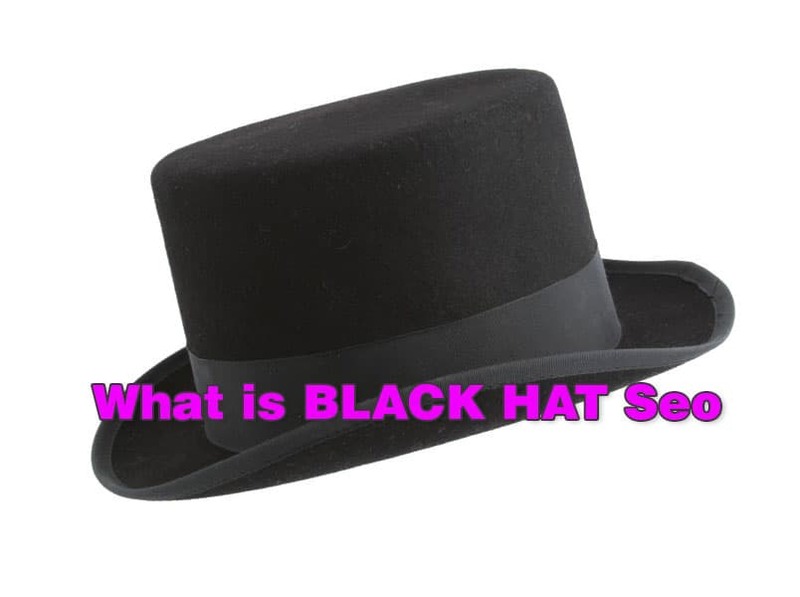 So, enough with the introduction and lets get to black hat seo, what it is and why you should most likely not use it if you are an affiliate marketer. Black hat seo is the process of trying to manipulate any search engine with the hope that you rank higher and get more traffic. What people do is, use black hat seo techniques as a vessel to ultimately try and make more money. And search engines do not like this at all. They want things to happen in a natural way. This means they want backlinks to be added to websites that actually liked your content and decided to add your link. They want pages on your websites added and produced like it was taking you time to write your articles. And, they want webmasters to write and produce quality content. This is all usually called white hat seo. In recent days around 2011, Google has released quality updates to their algorithm to find and crush web spam. The two most notable updates were Panda and Penguin. Both of these updates were designed to find quality websites by different methods. Now, there are many things search engines look for in a quality website. So you should always keep up to date and read their guidelines. You can see Google’s Guidelines here and Bing’s guidelines here. Take the time to read over both of these and you will be amazed at the amount of content and the fact they both search engines actually do tell you want they want. Google will start off with Content and design guidelines, then move you into technical and what they consider quality. Bing will pretty much talk about the same things also. But, it’s important to read both to get a good overview and an understanding of what each one wants. And, if you want long term success, playing by the rules is always a good idea. Just, have a look at the quality guidelines portion of each, and you will get a very good idea on what they don’t want. So let me cover a couple of the bigger ones that most black hat seo’s tend to do. These are usually, unnatual links, spun content and thin affiliate websites. This is probably the most abused tactic in seo today. Most newer people and even some pros use unnatual backlinks as a way of sending their websites to the top of the search results. These types of links include: private blog networks, paid links, advertorials and more. What usually happens is a web master has a website they want to rank high in a search engine. So, they purchase links to rank it high. But, as I said before search engines want this to happen naturally. They want someone to like your content and add a link to their site only in that fashion. So, to a search engine, any other type of link placement is unnatural and spam and or black hat. The problem starts when this webmaster thinks seo is all about backlinks. And that’s partly true. But, true seo is a lot more than that. Now, the thing is, you may be tempted to go this route as a new affiliate. And, this is your choice. The truth is, there are plenty of people making tons of money out there with black hat seo tactics. But, I also believe it’s days are numbered. So, if you do decide to take this route and build an affiliate business online with these methods. Just make sure you always read up on seo news about what Google is doing. But, for the moment it seems they are losing the battle. However, there are reports daily of Google taking down blog networks and unnatural links. You have to remember also, just because it works today does not always mean it will work tomorrow. These are two big ones Google really wanted to address. Back around 2007 or so, many webmasters were producing spun content with the aid of software. This software would take articles that were already written and re-spin it in to a whole new article. And, usually the article would be junk. They would then, use these articles to spam the internet using them for their affiliate sites, backlinks or whatever. Keyword stuffing was also another issue they address with the Penguin & Panda updates. While some seo’s will argue which one actually looks for keyword stuffing on pages doesn’t really matter. If, you want my opinion, it’s more penguin than panda but I also believe it’s written into both algorithms. But this really doesn’t matter. The fact is, if you are starting a website and don’t want to produce a blackhat seo site, you will need to watch out for keyword over optimization. Also, many seo’s will tell you these days, keyword density does not matter and they are right but over optimization is alive and well when it comes to keywords on pages. So, this was about black hat seo and what it is. It’s pretty much just trying to game a search engine and going against their will. And, those who think they are white hat seo’s just because they build only good quality links well, in Google’s eyes you are still black hat. Pretty much if you build one link and place it yourself you are a black hat seo. But, don’t let this stop you from building links. Links are needed. The web is made up of links and if you build links wisely, forget about Google then, you can get a huge amount of traffic from your links and still get traffic from Google when done right. The biggest problem with the younger generation seo’s out today is, they only focus on Google. They never think about PR and branding.